Puerto Rico is 100 miles long by 35 miles wide and as a result of its geographical position in the center of the arc of the Antilles, Puerto Rico is essentially a crossroads of Hispanic and Anglo cultures. Despite it’s very diverse influx of cultures, Puerto Rico has been a part of the United States since 1898 and Puerto Ricans have been U.S. citizens since 1917. The Island`s natural attractions pack a powerful punch with a majestic rain forest; three magical bioluminescent bays and an amazing ancient underground cave system, just to name a few. It is considered the culinary capital of the Caribbean for its incredible array of world-class restaurants and chefs. It`s a haven for shoppers with a fabulous selection of shopping venues. Its nightlife sizzles with excitement. Puerto Rico`s centuries-old capital city, is designated among the World Heritage sites, and a visit to its picturesque cobblestone streets is an unforgettable experience. Puerto Rico’s central mountain region is one of the dramatic, beautiful areas of the island, where high mountain peaks, canyons, ferns, orchids, streams, and cooler temperatures prevail. The indigenous Taíno culture was once a stronghold here, and their ancient ruins and petroglyphs can be found throughout the area. The city of San Juan is the largest city, the capital and the chief port and commercial center of Puerto Rico. The port in San Juan exports mainly sugar cane, fruit, coffee and tobacco to the United States. San Juan has a current population of 437,745 people and is constantly growing. Culebra has a uniquely friendly atmosphere with wonderful beaches, anchorages and some good snorkeling spots to satisfy all your water-sport needs. Culebra also enjoys an all year warm climate with temperatures between 70 to 90 degrees Fahrenheit and it doesn’t have a prolonged rain fall season. This means anytime is a good time to visit the Spanish Virgin Island of Culebra. Ballenas is one of the few beaches in Puerto Rico where the focus isn’t on spending time sunning yourself on the sand, sipping cool drink and watching people play in the water. This beach has something entirely different and more magical to offer. 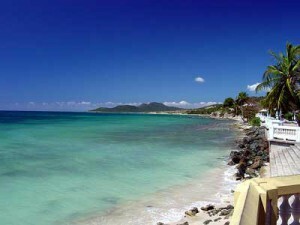 Boqueron is lined with more than a mile of soft white sand and has the clearest turquoise water. Although this beach is generally very calm and tranquil, it becomes quite crowded and festive on weekends, especially in the summer holidays . Caña Gorda a lovely stretch of beach situated not far from the Guanica Forest Reserve so you can not only enjoy the wonders of marine life, but head a little inland to make the most of this forested wonderland. This stretch of coast features plenty of caves and coves which you can explore to your heart’s content. Scuba diving in Puerto Rico is not only the most fun you will have in your lifetime, but is also a most rewarding activity. The water that surrounds the island is a treasure trove of coral reefs, breathtaking schools of vibrantly colored fish, crabs and something which is very rarely seen, delicate seahorses. The tropical setting and warm waters make Puerto Rico a diver’s paradise. This fact was confirmed in 2006 when Puerto Rico was nominated as one of the top five diving destinations in the Scuba Diving Magazine’s “Readers’ Choice Awards”. 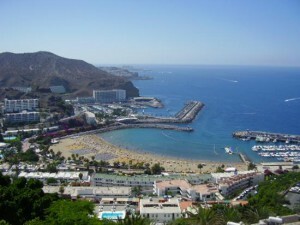 In addition, it has been named one of the Top 20 diving destinations in the world. It is no wonder that so many scuba divers come here to enjoy this activity in Puerto Rico. Special purchases are cigars, coffee, hammocks, rum, straw weavings, sculpture, santos (carved religious figures), festival masks and stringed musical instruments. There are a number of bird species found in Puerto Rico, with 17 of them, including the Reina Mora, being endemic to the island. The rest are birds that have migrated to Puerto Rico for the winter or are stopping over on their way to their migration final destination. Puerto Rico is an excellent place to go birding because you may get a chance to see all 17 of these endemic birds on this small island. Puerto Rico features a balmy climate whose constant trade winds keep the air cooler than many parts the Caribbean. The afternoon high averages about 86 degrees Fahrenheit; lows average 73 degrees Fahrenheit, with little variation throughout the year. Temperatures in the mountains tend to be about 10 degrees lower. Hurricanes pose a remote threat between the months of June and November, but few vacations are disrupted by these infrequent storms. Our month-by-month weather guide provides all the details you need to plan your trip to Puerto Rico. There are no passports or visas necessary for United States citizens, which mean that US citizens can travel freely in and out of the island without going through immigration or customs. Citizens of other countries have the same requirements as for entering the USA. Potential visitors must first obtain a visa, either a non-immigrant visa for temporary stay or an immigrant visa for permanent residence. US Dollar (USD; symbol US$) = 100 cents. For further details, see the USA section.